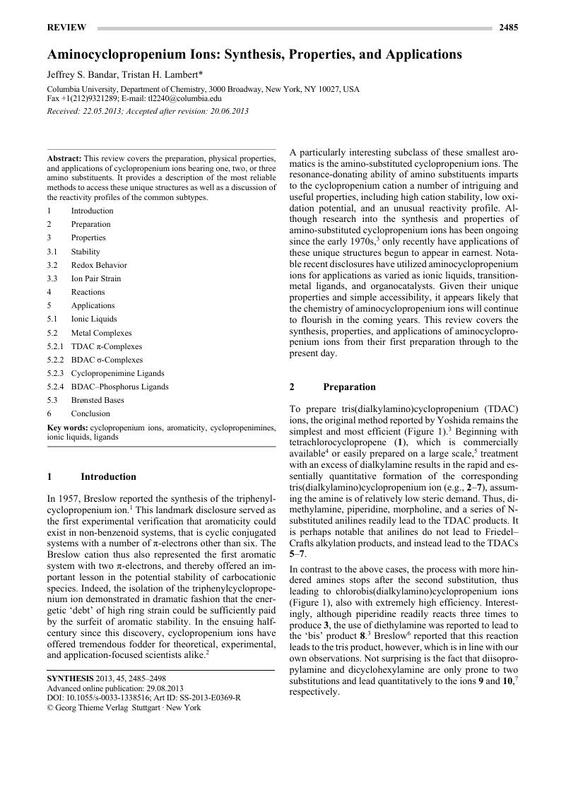 This review covers the preparation, physical properties, and applications of cyclopropenium ions bearing one, two, or three amino substituents. It provides a description of the most reliable methods to access these unique structures as well as a discussion of the reactivity profiles of the common subtypes. 4 Tetrachlorocyclopropene is available from Sigma-Aldrich, product no. 145947. 56b The product 115 was obtained as the opposite antipode.